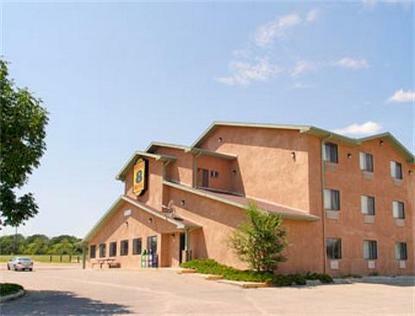 This newly renovated Super 8 is a treat for both the business and leisure traveler. We offer amenities sure to please all tastes.All of our guest rooms are well appointed and include wireless high speed internet, hair dryers and complimentary continental breakfast. Ask us about our new Jacuzzi suite. This suite offers all of the standard amenities plus a whirlpool and added space for entertaining. While in New Ulm you'll find many activities just outside our front door. Ask about the many events taking place during your next visit.Our staff is ready to handle all of your hotel travel needs and looks forward to serving you. We'll see you along the way.